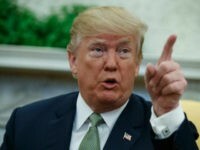 STAVANGER, Norway (AP) — The spirit of transparency that has propelled Britain’s top politicians to release their tax returns is already a fact of life in Norway, where the annual financial details of every taxpayer are published online in a searchable database. With the recent spotlight on the opaque world of offshore finance, some are looking to Norway as an example to follow — at least for public figures. “We believe transparency contributes to legitimacy and trust in the tax system,” said Mariken Holter, a spokeswoman for the Norwegian Tax Administration. Tax payments are also considered public information in Finland and Sweden, which like Norway are consistently ranked among the least corrupt countries by Transparency International. But unlike Norway their tax authorities don’t post that information in a searchable online database. Also, they don’t have a wealth tax, which in Norway provides snoopers with an insight into total worth. An annual tax list has been available to the public in Norway since 1863. In 2001 it was published online, turning a paper curiosity into a powerful database. The transparency is supposed to uphold Scandinavian values of openness and egalitarianism, underpinning trust in one of the most expensive tax systems in the world. But critics warn that having a fully searchable online directory of annual tax returns tramples privacy while appealing to voyeurism. 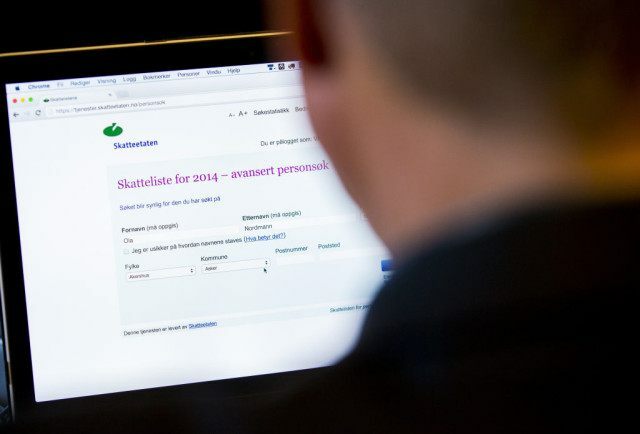 In 2013 the Norwegian government changed the rules to prevent anonymous searches, ensuring that if someone was checking out your tax affairs, you got an email to say who was doing the snooping. “The intention was to reduce the public’s search in the tax list merely out of curiosity, and thereby protect the privacy of the taxpayers,” said Joergen Naesje, a Finance Ministry official. The law change worked: the number of searches dropped by 90 percent. It also halted plans by developers to create apps allowing users to quickly find out the wealth of contacts on social networks or dating sites. However, the new rules reinforced the rights of journalists anonymously to scrutinize individual returns and the October publication of the tax rolls are still turned into pages of newsprint as reporters prepare lists of Norway’s richest oilmen, power couples, and wealthiest lawmakers. The rich list in October caused a particular stir when two teenage heiress sisters, Alexandra and Katherina Andresen, were catapulted into the second and third place on the overall wealth list each with taxable fortunes of 5.8 billion Norwegian Kroner ($700 million). Proponents say that the public prurience is the worthwhile price of having a system which is trusted by taxpayers. A 2014 study carried out by the national statistics bureau shows that the introduction of a searchable online tax registry coincided with a 3 percent increase in stated wealth. In Britain, David Cameron released his tax return following a week of revelations about his late father’s offshore fund. He was followed by London Mayor Boris Johnson, Chancellor of the Exchequer George Osborne and Labor’s opposition leader, Jeremy Corbyn. Some junior lawmakers have followed suit. Corbyn this week led calls for lawmakers, as well as journalists, to reveal their tax affairs in full. Labor MP Caroline Flint backed her leader, explicitly calling for Scandinavian-style openness in Parliament. “One of the reasons there is more pay equality in Norway is because of that extra transparency. Everyone knows how much everyone else earns and that is a positive thing,” Flint was quoted as saying by the Financial Times. But as the leak of documents from Panamanian law firm Mossack Fonseca reveals, the law has not prevented some Norwegians from seeking tax shelters in faraway places. Norwegian bank DNB has now apologized for helping some of its customers open offshore accounts in the Seychelles.